I used to occasionally drink an adult beverage called a Black Russian. It’s made with Kahlua and Vodka. These babies packed a punch, and if I had more than one, I was either the life of the party or down for the count. I am a little more responsible nowadays, but hey, they were delicious! 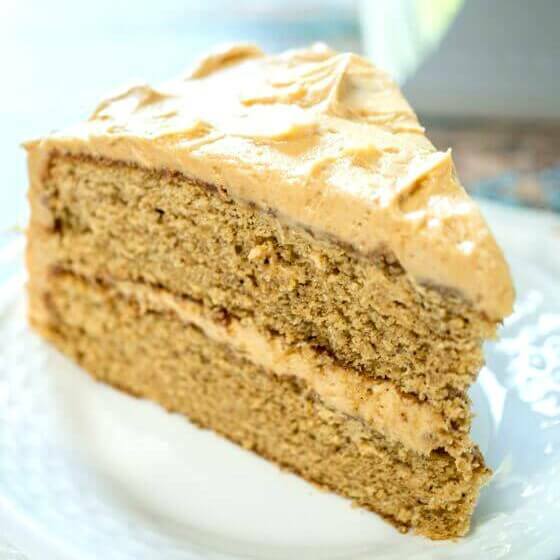 I have no restraint when it comes to my Black Russian Cake with an amazing Kahlua filling, however! I was inspired to make this cake after I learned how to make modeling chocolate. I wanted a special chocolate cake to decorate. And, even though it may sound a little fancy, it is quick and easy, and actually starts out using a cake mix. No one would ever know because this Kahlua chocolate cake with it’s creamy filling and chocolate ganache is delicious. I baked this decadent chocolate cake in a tube pan, also known as an angel food cake pan because I wanted a flat top for decorating. You could also use a bundt pan. 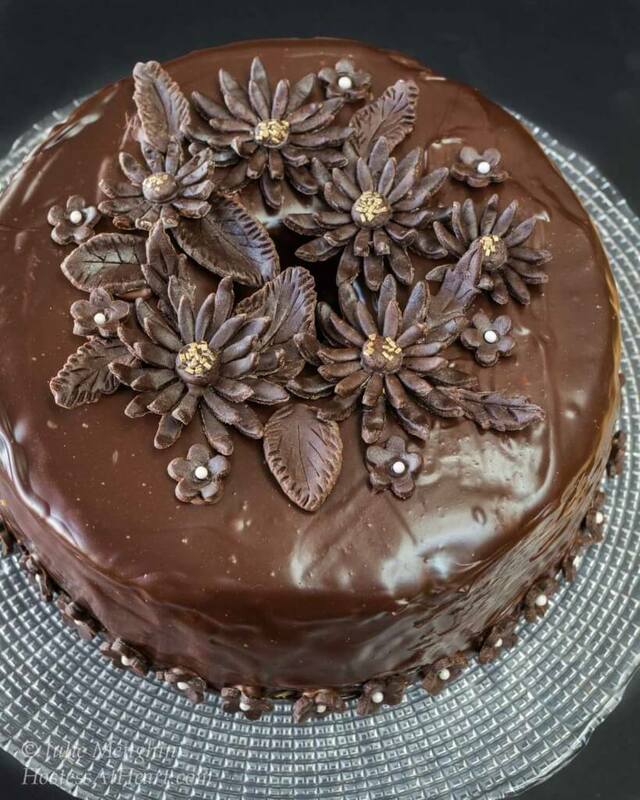 I applied a thin crumb coat using buttercream frosting, thinking that my Kahlua ganache would flow smoother. That step isn’t necessary. My ganache was still a bit thick so, while not perfect, it was still delicious. You could just drizzle a glaze over the top and call it done too. Modeling Chocolate instructions will be featured later this week! The technique is a lot of fun, and I hope you will give this cake and the technique a try. 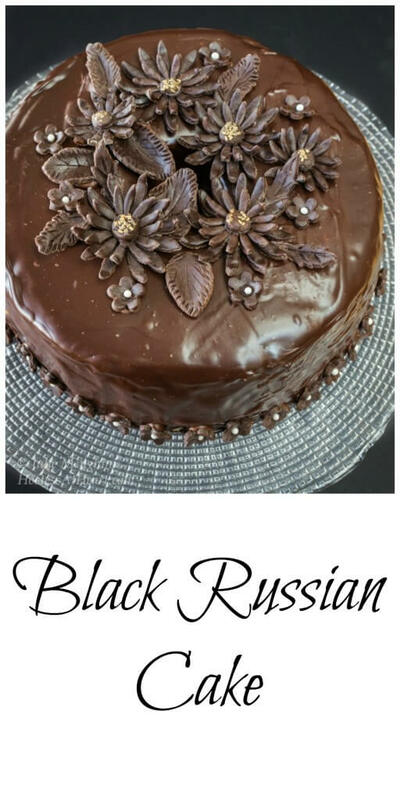 Black Russian Cake with Kahlua filling and a chocolate ganache is rich, creamy and delicious. 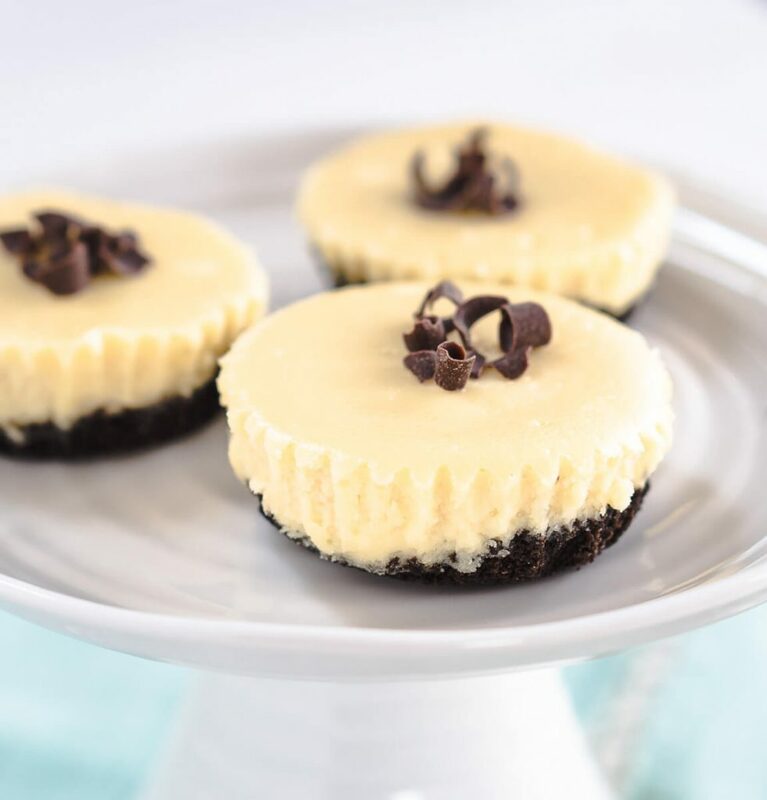 It's quick, easy, delicious and perfect for any occasion. 1 pint Heavy Whipping Cream * make sure it's not "Ultra-Pasteurized"
Preheat the oven to 350 degrees F. Generously grease tube or bundt pan. Combine all of the cake ingredients together, and mix until combined. Pour into the cake pan and bake for 45 minutes. Allow pan to cool at least 15 minutes. Run a knife around the perimeter of the pan and turn onto a cooling rack. Using a skewer, poke holes into the cake. Mix Kahlua and powdered sugar together until smooth. Pour over the cake. Chop chocolate bar into small pieces. I don't use chocolate chips for this because they contain stabilizers to keep their shape during baking. I don't measure the whipped cream, I just pour it over the chocolate until most of the chocolate is covered. Probably close to a cup. Don't choose Ultra-Pasteurized cream because it can contain water that will seize your chocolate. Microwave at 50% power one minute at a time. Stir after each minute until smooth. Add additional cream to thin if necessary, one tablespoon at a time, stirring after each addition. 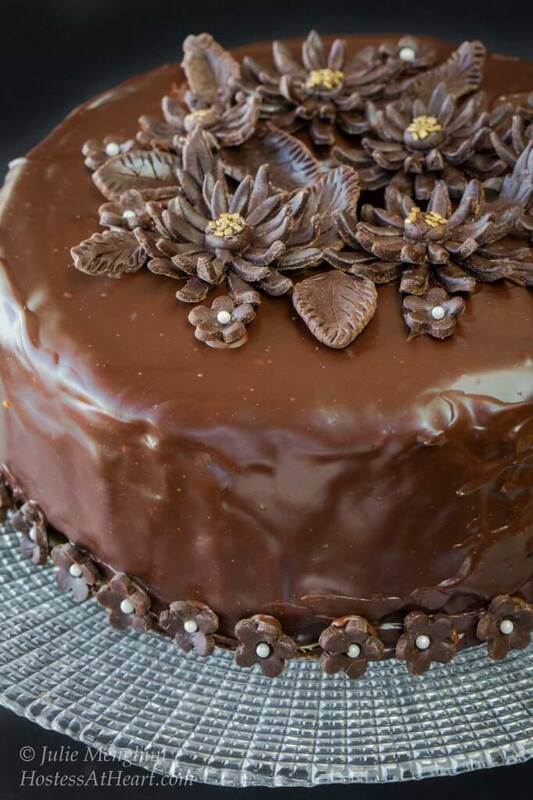 Glaze or cover cake with ganache. Allow to set up (or freeze briefly) before any additional decorating. This boozy chocolate cake looks a little intimidating, but it’s so easy to make. You don’t have to go crazy decorating like I did. A smooth ganache drizzle and you’re good to go. 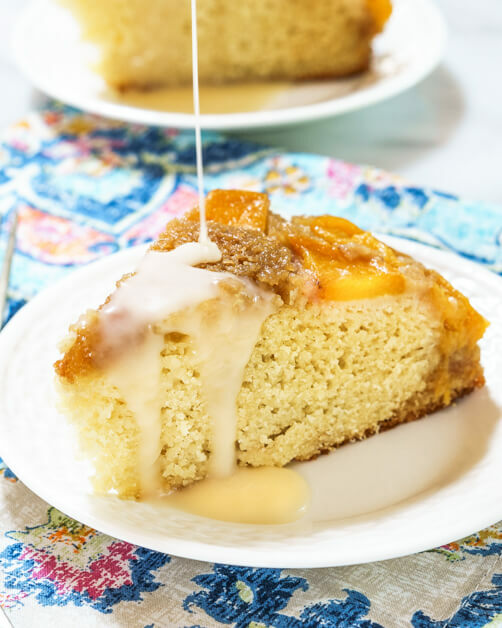 Here are a few more cake recipes at we love! Thank you Nancy! I love to tinker and this was the perfect project for that. That is one beautiful cake! Almost too pretty to cut into. Oh my this looks so good! I’ve never made this. I should! I’m pinning it now. Thank you Alissa. It is so much fun. If you give it a try let me know what you create. I need to try both the cake and the drink… probably together! The decorations are lovely too! Thank you Jamie! The cake was fun to make and hey if we are already celebrating, bring on the booze! Thank you Linda! I had so much fun putting this cake together. I made your Jerk pork chops and rice tonight! I loved the flavor but tried baking them instead of cooking them on a grill pan. They were delicious as was the rice, but next time I’ll put them on a grill pan. Enjoy your evening Linda! I am just in awe of your cake, Julie! Wow!!! I have never seen anything like it. Those chocolate flowers on top are so beautiful. The inside of the cake sounds delicious,too. I am looking forward to your post about how to model chocolate. I have never heard of this technique before. Thank you so much for sharing this! Thank you Shari. The cake is really moist and delicious. The modeling chocolate instructions come out tomorrow. If you can use a cookie cutter you can make some fun decorations. wow, wow, wow, that’s a gorgeous cake Julie, nice job! Very boozy too:) Do you think it would work well with a chocolate flavored cake mix? Thanks Lily! I think a chocolate cake mix would be perfect! You know I don’t do sweet so I don’t usually comment on cakes but that is the most stunning chocolate work, Julie, wow!!! Thank you so much Elaine! I love to tinker so really enjoy stuff like this. Wow, Julie! This cake just leaves me speechless…and drooling. Thank you Emily! Check out tomorrow to see how to do the modeling chocolate if you don’t already know. It is easy and fun and will make a great activity to share with the kiddos. That is absolutely beautiful, Julie! I almost had a heart attack when I saw it. That’s how beautiful it is! Can’t wait to learn how to make the chocolate flowers! Thank you Angie! I had so much fun making this cake. I really wish that I would have known how to make model chocolate years ago. That post goes live tomorrow so get your cookie cutters out. Enjoy your day! What a beautiful looking cake! Just love the flowers! You do great work! Thank you Rena! It sure looks a lot harder than what is is, and it was so much fun playing with it. Oh Lynz, thank you so much. It will be up tomorrow. Talk about fun and easy! Really a beautiful and delicious cake and can’t wait to learn more about the chocolate modeling it really is gorgeous. Suzanne, it was so much fun. That technique will be out on Wednesday. I wish I would have known how to do this wen my kiddos were young. They would have loved it. Thank you Judi! This was an on-line challenge from a gal in India. She did such a great job and I learned so much and had a heck of a lot of fun. Craftsy has a few online chocolate modeling classes. You can learn to do just about anything you want! They have some great classes. My problem is that I download them and then don’t get to them. I have three sourdough classes that I need to take on Udemy. Ummmmm……yes please!!! What an absolutely scrumptious dessert!! And beautiful to look at as well!! Thank you Amy! It was so much fun to make. The modeling chocolate post will be available on Wednesday. It would be a lot of fun to do with the kiddos too. Ha! Loretta, that cake is so easy and moist, and I had so much fun with the modeling chocolate. I sweat it is easy. That post goes Wednesday. The thing I love about the modeling chocolate is that it tastes like chocolate. I don’t think fondant or gum paste is all that good. I love black russians, but boy they are potent! Did you get unburied from the snow? We got a little, but freezing drizzle today. That sure creates havoc. That’s one showstopper of a cake Julie!! So, so gorgeous! And I can imagine how fantastic it must taste with the Kahlua!! Thank you Naina! It was really moist and delicious, and the modeling chocolate was so much fun to do. That post comes out on Wednesday. I wish I had known how to do it when my kids were young. They would have loved adding their own little creations. Enjoy your day! Oh wow, what a decadent looking cake. My husband’s birthday is coming soon. Not sure if I will try this but loving the chocolate grenache. I just have kahlua. Would just kahlua work? Thank you! It would absolutely work. 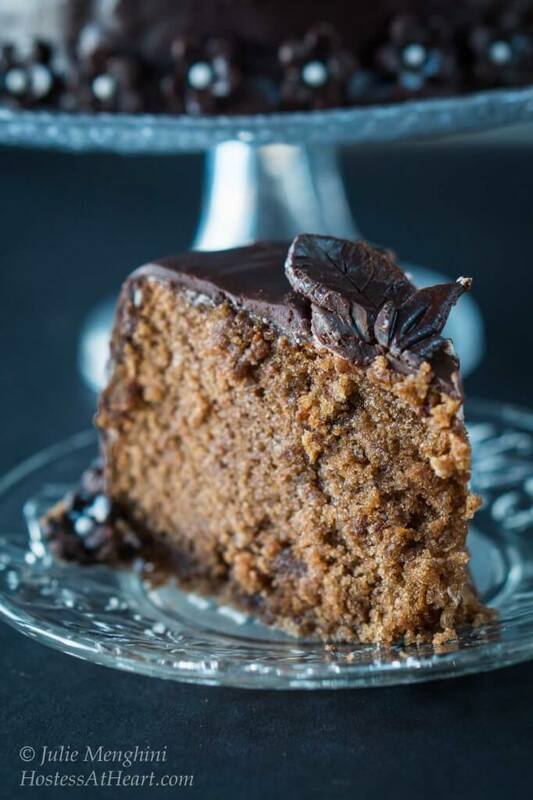 This cake is so moist, and the kahlua with the chocolate is really good. Spectacular cake Julie! Does NOT look easy!!! mine would be in a Bundt w maybe a glaze but I’d rather have a slice of yours. My birthday is coming us hint hint!!! Thank you Johanne! That’s a deal I’d love to make you a birthday cake! I hope everyone bakes you a birthday cake! It isn’t difficult. I’m a tinkerer so really had a lot of fun with this project. Ha! A girl after my own heart. It is easy and fun to make. Have a great day! Thank you Mike! It is a killer! This is one rich gorgeous sinful and delicious cake! I am eager to see that post with chcolate modeling instruction :). Thank you Sonal! Modeling chocolate is so much fun and would be a great activity for kids too! That will be posted on Wednesday.